Simply as a work of art and imagination, In Arabian Nights is an enthralling triumph, but in our lamentably divided modern world, it assumes an even greater importance, for Shah's account poignantly humanizes Arab culture, penetrating deep into usually unseen social and psychic layers. Like the bearer of a precious key, Shah leads us along meandering alleyways to an ancient door, which he unlocks and throws open onto the rich courtyard of traditional Arab custom and belief. Visit Traveler's website to read the rest of the review, as well as George's take on two new India-inspired novels and a selection of photo books that offer glimpses into the "enigmatic colussus." 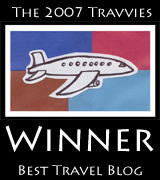 And check out George's Trip Lit archive and our Ultimate Travel Library for more place-inspired reading suggestions. When traveling to environmentally fragile places, one can't help but feel a bit conflicted. But here are some Africa tours that will give you a lot to see, without leaving a big footprint (or giving you a headache). 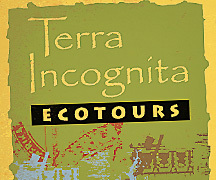 Terra Incognita Ecotours provides direct financial benefits for conservation and empowerment for local people. For every participant traveling on the “Gorillas in the Mist” tour in Rwanda, Terra Incognita donates to the Mountain Gorilla Veterinary Project. They are also partners with the African Conservation Foundation and the Jane Goodall Institute. Other Terra Incognita tours include Costa Rica (in partnership with the Costa Rican Conservation Foundation), Nicaragua, and Borneo (with Red Ape Encounters and Adventures). The 61,800-acre (25,000 hectare) Shamwari Game Reserve has its own wildlife department, breeding center, and anti-poaching unit, and its wildlife director (Johan Joubert) was voted one of South Africa’s Top Ten Conservationists by the Endangered Wildlife Trust. Since 1991, Shamwari has bred more than 5,000 head of game, rehabilitated and reseeded overgrazed land, and created 14 separate farms. 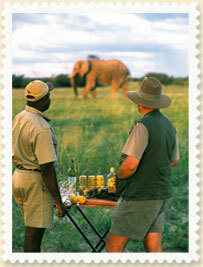 Check out Ker & Downey for information about tours to Shamwari. Those who have safaris to Kenya booked in the near future are no doubt watching with dismay at the recent violence that broke out there in the aftermath of the disputed elections. So, what’s a traveler to do? Resident tour expert and senior editor Norie Quintos offers some advice. Don’t cancel just yet. At this writing, the unrest has been focused mostly in the outskirts of Nairobi and tourist venues and tourists have not been targeted. According to the Kenya Tourism Board, “scheduled international carriers continue to operate daily services,” and regional airlines have had few changes in schedule. Tour operators in the country have reported little disruption in their itineraries and only minor changes. Last week, Micato Safaris provided additional security and reduced travelers’ time in Nairobi as a precaution, though interestingly, "several travelers felt Nairobi was safe and insisted on continuing with their city tour," noted spokeswoman Emily Baldwin. Some travelers with East Africa itineraries are choosing to extend their time in Tanzania and reduce or eliminate time in Kenya. Contact your outfitter, if it hasn’t already contacted you. Most operators, including African Travel, Inc., will happily work with any clients who decide to cancel or reschedule bookings this month. Ask detailed questions such as: At what point will you cancel a trip? Are you providing additional security? Do you have contingency plans if I am in the bush and the situation worsens in Nairobi? Will you waive change fees? Keep abreast of the situation. Log on to the State Department website. Check also the travel advisories of other countries such as the U.K. and Australia for a more complete perspective on the situation. Check into the fine print of your trip insurance regarding cancellation, rescheduling, and other unexpected events. Some policies may restrict payouts in places with civil unrest. If you don’t have travel insurance, consider getting a policy and make sure it offers the kind of coverage you need. A good place to start is www.insuremytrip.com. And finally, don't worry too much, particularly if your trip is scheduled for a month or more from now. As unfortunate as the bloodshed has been, Kenya has been considered one of the more stable countries in the region and its tourism infrastructure solid. Experts predict the current unrest will be short-lived. Here's a useful tool: Friends of World Heritage has a list of community tour operators in Africa, Asia, and Central and South America that have been approved by the UN World Heritage Foundation. Tour operators include the Shampole Community Trust in Kenya (offering eco-friendly, luxury accommodations which we wrote about here), the Talamanca Initiative in Costa Rica (a biodiversity conservation group that focuses on reducing poverty) and the Bunaken National Marine Park Management Advisory Board in Indonesia (which offers homestays and eco-friendly lodging on Bunaken Island). 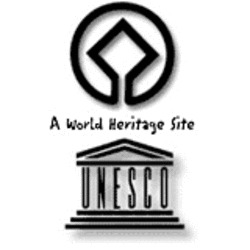 One hundred percent of funds raised through the Friends of the World Heritage Fund will go to World Heritage projects. Likewise, Expedia and the UN Foundation frequently match and triple the amount already raised. Last Sunday night on 60 Minutes, Anderson Cooper took us to the Democratic Republic of the Congo to cover the sad story of a family of highly endangered mountain gorillas that were executed in July in Virunga National Park. There was no sense in the killings: the gorillas weren't threatening anyone, they weren't killed for meat, and the babies were not kidnapped to be sold on the black market, as has happened before. WildlifeDirect, one of the nongovernmental organizations monitoring the situation, suspects the gorillas were killed by people involved in the multi-million-dollar charcoal trade who are operating illegally in the national park. Since July, the situation has grown worse, as rebel militia groups have moved into the park and kicked out the park rangers who were tracking and protecting the gorillas there. For the past several months, all contact with the remaining gorilla families has been cut off (there are only about 700 of them in the wild, and half of these live in Virunga National Park). Before the July massacre, Virunga National Park operated a successful gorilla tourism program, where very small groups of travelers were permitted to view the gorillas in their natural habitat under strictly controlled conditions for a limited amount of time. Revenue from tourism helped pay the rangers' salaries and gave them a way to support their families, who lived with them in the park. 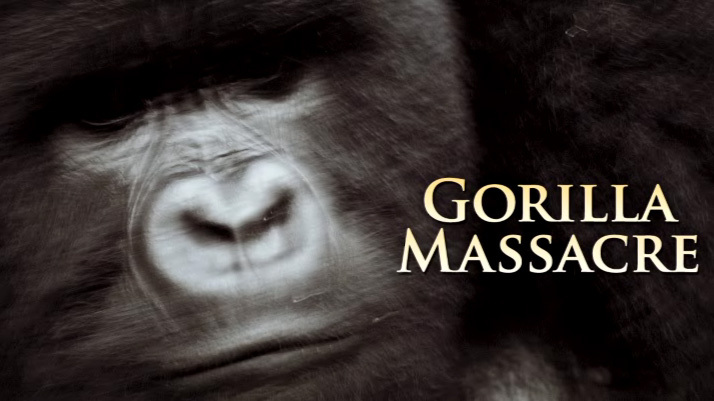 The rangers got to know the gorillas personally, and were devastated by the murders. The current fighting has also added to the human suffering of local communities around the World Heritage site and the humanitarian crisis is starting to take on catastrophic proportions. Already an estimated 425,000 people have been displaced by the fighting, including 70 park ranger staff. As a result of the conflict, a number of makeshift camps of displaced people has sprung up right next to the park, adding further pressure on its natural resources due to people desperately looking for food, firewood and building materials for temporary shelter. National Geographic magazine scooped this story two weeks ago on their website, posting a video about the gorilla massacre and a page on How To Help, which lists the websites of non-profit organizations that are helping to equip and protect the rangers as well as the gorillas. Please visit their site to learn more about how you can help. Getting the Shot: The shot was taken on Christmas day, 2006. 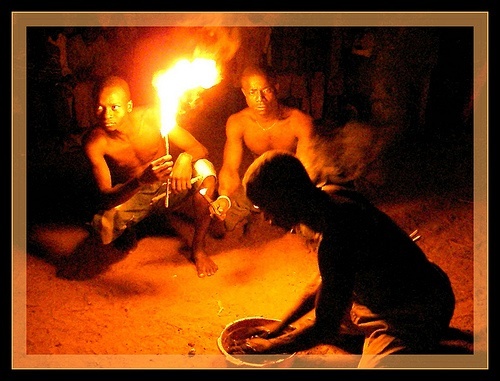 The Fire Dance was held in a clearing in the small village of Tinadou, just outside Kparatoa, some miles from Sokode in Togo. There was a large sign at the roadside advertising the dance. Villagers from many nearby settlements came to witness the show, as well as us. The dance takes place round about a month after the festival of cutlasses. The dancers will attempt to prove their prowess by various daring stunts. We were sitting on little wooden benches around a small clearing in the village, so the dancers were about a metre or two away from us. It was quite an intense experience. African safari trips are one of the fastest-growing trends in tourism, so IT was interested to hear about an award-winning model in Kenya's Great Rift Valley, where the lodge owners partnered with the Maasai community to repopulate the dwindling wildlife and help stimulate the local economy. They set aside one area just for conservation and used local Maasai men as the rangers. In seven years, the area has seen a huge increase in wildlife; the lion population, in particular, has gone from five to more than 50. The increase in wildlife means more tourists, which means more money for all. ...Last month the U.N. Development Program awarded Shompole Lodge with the Equator Prize, one of the highest honors in eco-tourism. While there are many eco-friendly luxury lodges in Kenya, the program singled out Shompole for being unique in combining grassroots conservation with business. On November 23, a team of Brits began the "first ever carbon-negative driving expedition." 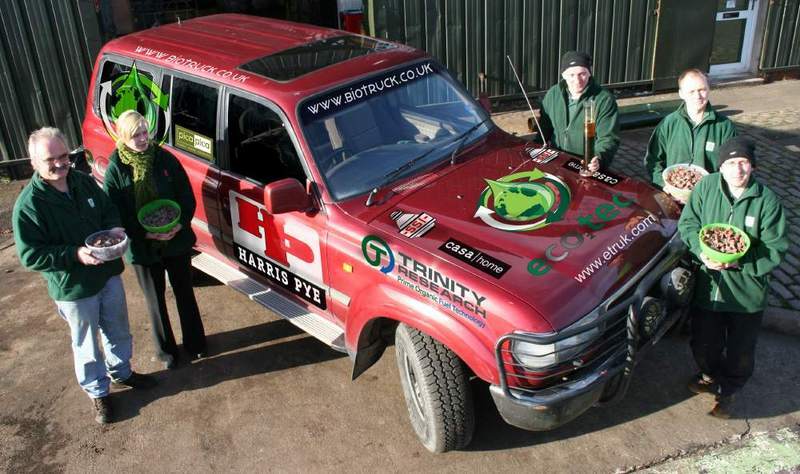 Andy Pag of London and John Grimshaw of Poole will drive their recycled BioTruck some 4,500 miles from the U.K. across the Sahara to Timbuktu in Mali, West Africa. The catch? Their truck runs on chocolate fuel. UK-based Ecotec has "developed a process for converting waste chocolate from a nearby factory into bio-ethanol on an industrial scale," says the BioTruck site. "Previously this waste product was thrown away in landfill sites but now the bio-ethanol can be used to make fuel for petrol cars and in the production of Biodiesel." In case you wondered, National Geographic is a bit like a college campus. We have a cafeteria, a whole lot of knowledgeable folks milling around, and an ongoing series of events and lectures to keep us learning. And now, for a little while at least, we also have a mascot. This past week National Geographic unveiled a 110-million-year-old dinosaur, which is currently in residence in our lobby. The 30-foot skeleton of the Nigersaurus taqueti, (which we at IT have dubbed Nigel) is the cause celébre of the new "Extreme Dinosaur: Africa's Long-Necked Fern Mower" exhibit, which will be on display through March 18. It's also an extension of the Extreme Dinosaur story in the December issue of National Geographic Magazine, which features an introductory essay by John Updike (you can read and hear a Q&A with Updike online). "It had a broad, straight-edged muzzle with more than 50 columns of tiny teeth—500 altogether—lining the jaw. The construction of its mouth enabled the Nigersaurus to work close to the ground, mowing down mouthfuls of greenery." In his presentation at the unveiling, Sereno called Nigel and its peers the "cows of the Mesozoic." Another cool element in Nigel's backstory is that Sereno teamed up with a group of Chicago-area high school students to help pull the exhibit together. Through an organization called Project Exploration, the students did fieldwork, visited fossil labs, and read through research studies to help supplement Sereno's excavation. The students were on hand yesterday for the unveiling, and you can learn more about the project, and the delegates here. To learn more about Nigel's anatomy and lifestyle visit the research report published by PLoS One, the online journal from the Public Library of Science. Or come down to the lobby and check out Nigel for yourself. Can't decide whether you want to safari in Africa or scuba dive in a coral reef? Well, one tour company offers a unique scuba sea safari that should satisfy your craving for both land and sea adventures. One Earth Safaris offers "scuba sea safaris" between Zanzibar, Pemba Island, and Kenya, (where sharks and humpback whales are plentiful) with visits to places like the Samburu National Reserve and Masai Mara National Reserve for sightings of the Big Five (elephant, white rhino, buffalo, lion, and leopard). Company founder Ranjit Sondhi says that seeing the Annual Wildebeest Migration is a must when visiting East Africa. One Earth guests can also track gorillas in Rwanda and Uganda in groups from 4 to 35 people. 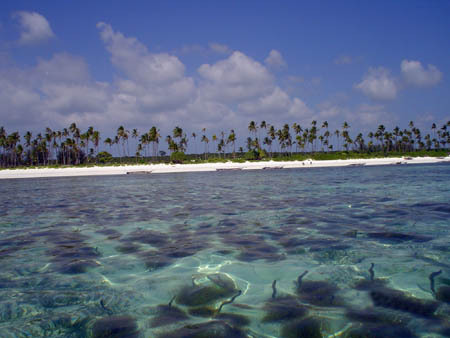 The company is currently developing plans for an underwater hotel off of Pemba Island. 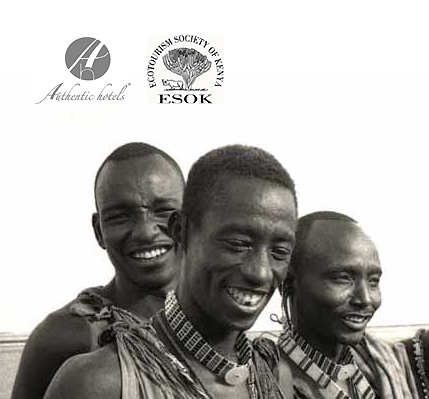 The One Earth team (comprised of ecologists, ethnologists, and naturalists) has also developed One Earth Sukuma Voluntourism, a volunteer program on a wildlife conservancy that acts as a buffer to Tsavo National Park (the largest in Kenya) and as a safe haven for buffalo, elephants, antelope, giraffes, and zebras. One Earth Safaris supports sustainable tourism, which gets a huge plus in our books.